AAU (Amateur Athletic Union) members are always welcome at the Maingate Lakeside Resort. Our Kissimmee hotel is near ESPN Wide World of Sports™, the host location for most AAU events, making Maingate Lakeside Resort an essential stay for sports group travel. The Maingate Lakeside Resort is also an officially appointed hotel for USSSA, United States Specialty Sports Association. 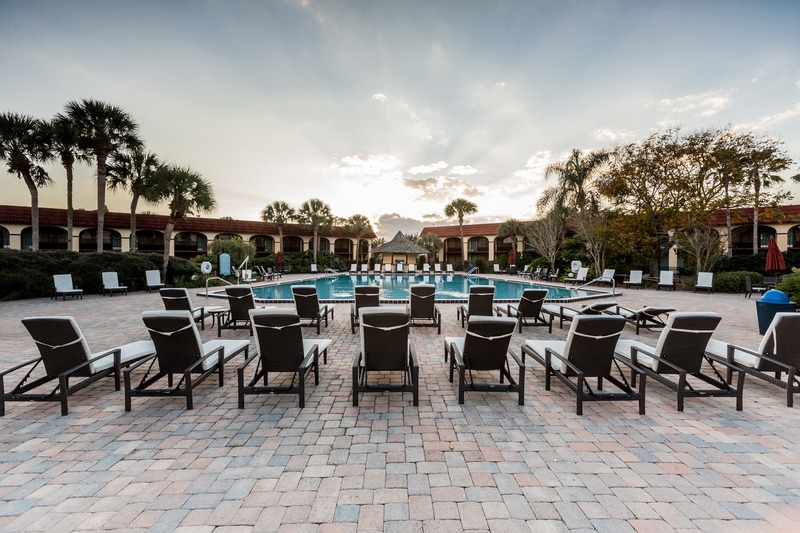 Many of their national events are held just minutes from our central Florida location, and we are proud to have been chosen as one of their original host hotels. We also work closely with the Central Florida Sports Commission and partner with many of the top sports event planners in our area. Your whole group will enjoy the amenities offered in our spacious Kissimmee / Orlando hotel rooms, including a mini-refrigerator, coffeemaker, safe, and more. Hotel amenities at Maingate Lakeside Resort include two half-size basketball courts, mini-golf, three pools, two kiddie pools and playgrounds. The two guest laundry areas at our hotel in Kissimmee / Orlando, Florida will help wash out dusty uniforms after the game’s been won. Athletes working up an appetite can dine at Greenhouse Restaurant, offering our guests a delicious breakfast to start a day of practice or play. This all-you-can-eat buffet features fresh fruits, omelet station, waffle bar, breakfast meats, potatoes, pastries and plenty more to keep your team fueled for the day ahead. Children 10 and under eat for free, one per paying adult. For a great lunch or evening meal, visit the Pizza Hut Express® and Deli Mart. Tasty pizza, sandwiches, salads, snacks and more are available to eat in or take back to your room. A stay at Maingate Lakeside Resort lets your team focus on the win. For more information on holding your next event at Maingate Lakeside Resort, submit an REQUEST FOR MORE INFORMATION today!